When you live in a Phoenix suburb like Gilbert, hot days are less of a question and more of a given. It can be hard spending all day out in the dry desert sun, which is why many residents choose to add a swimming pool to their backyards. And if that’s what you want to do, you’ll have few choices as good as No Limit Pools and Spas, the pool builders of Gilbert and Mesa, Arizona. With other pool builders in Gilbert, you might have trouble getting just the sort of pool you want. They might suggest things that go well beyond your budget, or they might not know all the possibilities that come with designing a new pool with new landscaping to go with it. But we chose the name “No Limit” for a reason: we always do our best to give our clients the kind of backyard and pool they want on a budget they can afford. An in-ground swimming pool can be any shape you want it to be. After all, it’s just a hole in the ground with the only limits being the size of your yard, the location of any buried pipes and cables, and the monthly payments you can afford to make. Digging a pit for a pool involves bringing in some heavy construction equipment, and that’s true no matter which pool builders in Gilbert you contact. But while we at No Limit can certainly put your yard back just the way we found it, many of our clients choose to take the opportunity to create a completely new backyard. Not a lot of plants can thrive in a desert environment, but we’ve been in the business of landscaping and pool design for years and we know which bushes, trees, and grasses can survive with little need for extra watering in a central Arizona environment. We can also use stamped concrete and natural stone to create a beautiful patio and even complete a covered outdoor kitchen. Along with being one of the best pool builders in Gilbert and the eastern Phoenix metro, we can also resurface or remodel a pool that already exists. 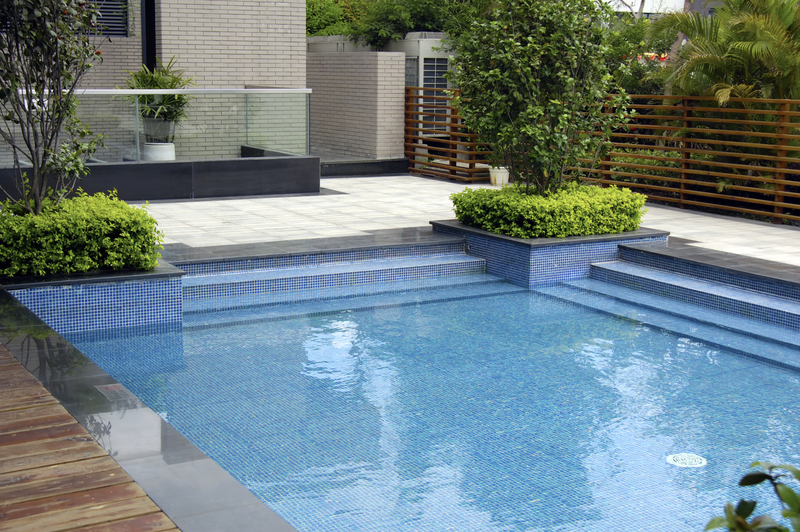 We can replace plaster and fiberglass surfaces when they start to crack and wear down, and we change the size and depth of your pool based on your changing needs and growing family. Something else we can do is update the technology your pool uses. A stronger or more efficient pump system can lower your monthly bills, and an automated chemical dispenser can monitor your pool chemistry for you and add just the right chemicals at just the right times to keep it in perfect shape. On top of that, a cleaning robot can make things even easier by scrubbing the pool walls and skimming the surface to pick up debris. And if you want to use your pool during a cold desert night, you can get a heating system that will let you do just that. At No Limit Pools and Spas, we know you want your backyard to be perfect. That’s why we always do our best to go the extra mile and help our customers design the perfect new or redesigned swimming pool that matches their lifestyle and family needs. Whether you want a pool for relaxation, family fun, parties, exercise, or all of the above, we are the company to call when you need pool builders in Gilbert, Mesa, Gold Canyon, Chandler, or Queen Creek.